The first rule of saving money is to buy only the items that are actually needed; for example, if the only printing someone normally does is black and white and they usually just buy a black cartridge, then buying a multi-color pack of printer ink simply because it is on sale is like money thrown out. Obviously, the multi-color pack is going to cost more than a single cartridge, so they just paid extra for something they don’t really need. Printer ink, toner and paper are computer supplies that are the most consumed and require replacing frequently. One has to be prudent when purchasing these. 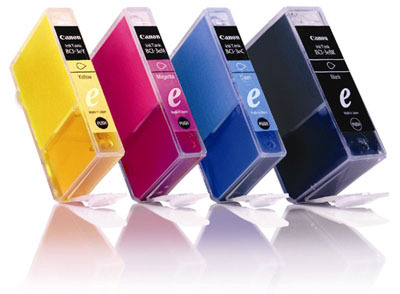 There is a large variety of printer ink available in the market; one can buy brand name cartridges, or the Original Equipment Manufacturer (OEM) cartridge and both of these tend to be pricey. To save some money, it is possible to get reconditioned cartridges, printer ink refill kits, and even compatible cartridges. All of these work just as well as new cartridges, but cost significantly less. This also helps to reduce waste and protect the environment. Another thing that can be done to make the ink last longer, is to set the printer preferences on “draft” or “low” quality. Almost all printers now have this, or similar, options to minimize ink usage. Since most of the copies are normally for own references, this works fine and can make the cartridge last up to 50% longer. When good quality prints are needed, the settings can be changed temporarily. Another thing that can be done to make sure cartridge lasts is to ensure proper storage and installation. Once the cartridge is removed from its packing make sure it is installed immediately to keep the ink from drying. If a cartridge is kept for future use, put it in a cool dry place protected from dust, so the ink does not dry out and go to waste. Printer paper is another item, which if used with care, can save a lot of money. Too frequently, people just print on one side and then discard the paper. 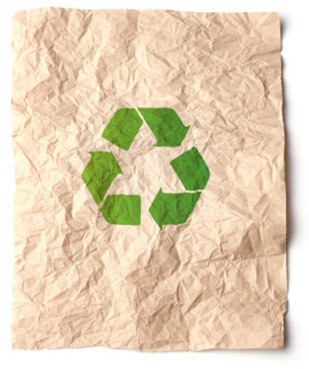 When printing for self-reference, recycle the paper and print on both sides. Just place a couple of containers next to the printer, one for new paper and one for paper to be recycled and use as appropriate. Also, try buying in bulk, as it is always cheaper than buying in small packs. Additionally, be on the lookout for special offers. Office supply stores generally have special offers like getting a pack of paper free with every ink cartridge bought. Keep an eye out for rebates and stock up; it is not as if the paper will not keep! Make sure to shop around before buying. Sometimes, it is better to buy online rather than by a mortar and brick store. Usually, these sites give really good discounts if you buy in bulk, so ask family members or co-workers if they need office supplies. Chances are that they, too, will need these things and order together. Not only does one have the benefit of saving time and gas, there is the added convenience of having the things delivered home with no shipping or handling charges, provided the minimum order requirement is met. Another computer item that runs up costs is computer cables. Cables are needed to connect accessories like printers, external drives, or memories. Cables have gigantic mark-ups in stores. A cable that costs the store $2 to $3 will frequently sell for $20 to $30. That is ten times the cost! So make sure to compare prices and look online as well. Finally, computer software can also be very expensive. Antivirus, firewall, office suites, or accounting software are some of the most common types of software used by almost everyone. Many of these come as trial versions when the computer is bought and if these serve the purpose then there is no need to buy the more expensive full versions. 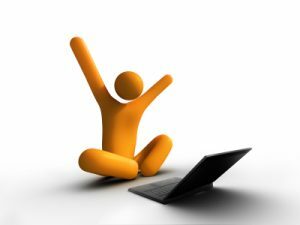 After all, how many people at home actually use all the features of MS Office? If these are not included as trial versions, then it is also possible to get cheap compatible software which has many of the same features as the more expensive ones, but at fraction of the cost. Great tips, I think using open source software is a good option to save a lot of money on software costs! I would also recommend buying refurbished, ex-office PCs. If you find a store that specializes in this kind of hardware then you can save many hundreds of dollars. Government departments, for example, usually take good care of their computer hardware, then offload it periodically to these kinds of stores. So you can buy a PC that is often almost as good as new, even if it’s a few years old. These computers often keep going brilliantly for ages. And even if they don’t, no problem. They only cost a few hundred bucks so you can go out and get another one without breaking the bank. Whats the point in buying refurbished PCs and by the way i think you never visited a government office …. computer there look like as if they are 150yr old.